“In a little over 1 (one) month, the Beef Additive Alert™ Campaign has contributed to making a positive impact: educating consumers and helping embrace industry change. We wholeheartedly believe that our clients have done the right thing by bringing the beta agonist cattle feed issue to the forefront, to America’s mindset,” said Susan Stern. “We are proud to be the messenger of our client’s valiant mission. It takes courage and determination. So, cheers and hats off to USA Cattle Ranchers, self-described ol’ cowboys Gerald Timmerman & Harvey Dietrich,” added Stern. Stern developed the campaign, as a one woman ban per se, including research & copywriting, website & graphic design, campaign logo, Video PSA, voice-over, social media administration, on camera spokeswoman, news release production, campaign name and so on. “You don’t need a 3-10 person National PR Firm to get the job done right. 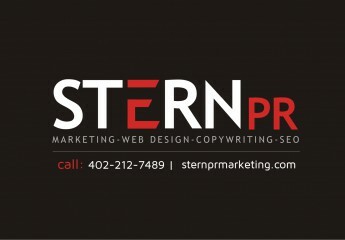 You just need us – our two person Omaha Nebraska Public Relations & Marketing company,” emphasizes Stern. Inquiries? To contact Susan Stern about National, Regional & Local Omaha PR and Marketing services, visit official website here.